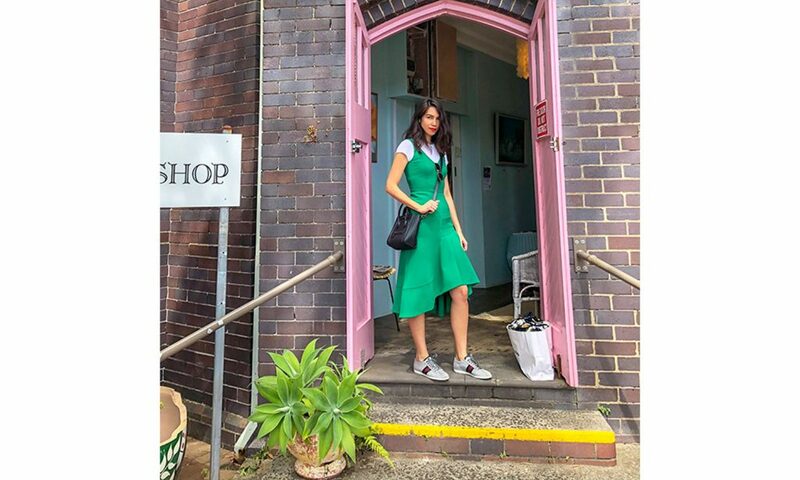 This time around on PALA Meets we’re chatting with Emily Kate Symes, an Australian eco ambassador, model, entrepreneur, designer and sustainability expert. Alongside her popular blog EKO & LUX, Emily Kate also founded fashion business EKOLUV, an online store for sustainable fashion, and has designed her own line of jewellery. EKOLUV is a sustainable fashion boutique – what does sustainable fashion mean to you? What advice do you have for anyone trying to take a more sustainable approach to their wardrobe? Sustainable fashion is thus partly about producing fashion in environmentally and socio-economically sustainable manners, but also about more sustainable patterns of consumption and use, which necessitate shifts in individual attitudes and behaviour. My advice would be to do your research but also take small steps. It can all get quite overwhelming at times however, making small steps is the key. Start by taking a look at your own shopping habits, do you find you have many items still with tags sitting in your wardrobe? Feel like you have so much in your wardrobe but still feel like you have nothing to wear? The first step is to evaluate your needs, your lifestyle and make your wardrobe work for you. De-clutter and keep only items you have worn more than 5 times and condense. Try to keep a mindset of quality over quantity and If you are buying then I suggest investing in classic pieces that don’t date and are trans-seasonal also try to take on the 30wears challenge and see how many pieces in your wardrobe you can wear 30wears or more. Frankly It shouldn’t be in your wardrobe If you have never worn it or never plan on wearing it. If buying new then take the more sustainable option that considers its design, production and mission around what’s best for people and the planet. The EKOLUV business also offers a dress hire service. What was the inspiration behind its launch? There is a lot of excessive waste in the fashion industry due to the industry being built on a planned obsolescence model and I believe the share economy is the future and one of the most sustainable ways you can shop is to rent rather than buy. I wanted to close the loop by making the most of and prolonging the use of fashion that is already in existence rather than to buy new. 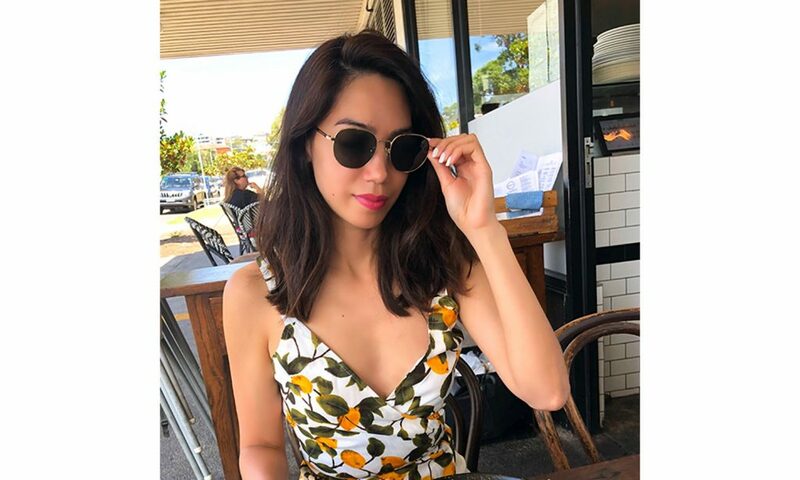 With dress hire you can not only save money but wear something new all the time without having to fork out $1000’s all the time for new outfits that you might wear once and have it sit in your wardrobe therefore also in turn using a more circular approach to fashion and as a result diverting waste from landfill. EKOLUV donates 5% of profits to Opportunity International Australia. Can you tell us a little about the organisation and why you’ve chosen to support it? EKOLUV is driven by an authentic commitment to social justice and environmental responsibility. Here at EKOLUV, “We strive to encourage the use of organisations that aid in the development of people all over the world to create opportunity for themselves, thus creating better lives for themselves and their families”. We will donate 5% of EKOLUV’s net profits to our chosen charity organisation Opportunity International Australia.Microfinance is about providing people living in poverty with a hand up rather than a handout and to create sustainable transformation in developing communities. For mothers, poverty is a reality they know all too well. In developing countries, poverty can affect every aspect of a family’s life: mealtimes – struggling to find enough to eat; school days – not being able to give your children an education; bedtime – getting sick from sleeping on the cold floor because there’s no proper bed to sleep in. By providing small loans to families through Opportunity International Australia, you can help them leave poverty behind. With a gift of $70 to buy a sewing machine or seeds to plant a vegetable farm, families are able to start their own business and transform their lives, their children’s futures and their communities. And with 99% of loans repaid and recycled, more and more families are helped. By giving families the tools they need to transform their lives, microfinance is a sustainable solution to poverty, creating a ripple effect that will continue for generations to come. My family comes from the Philippines a country whom 25% of it’s population is in poverty. I wanted to the business to give back and they do a lot of amazing work in the Philippines. I believe the best way to break the cycle of poverty is to empower them with education, the tools and the resources/funds in order for them to start a business and support themselves and their families. You’re clearly a busy woman, juggling a lot of roles. How do you prioritise where you spend your time? Yes, ha that’s a tough one. The business takes most of my time these days and I do still struggle at times to find the balance but what helps me is keeping active by engaging in running, yoga and meditation or even reading. This enables me to practice mindfulness which in turn helps me to be more in the present moment and de stress which in turn makes me way more productive and efficient. What also helps me to prioritise is writing a task list the night before for the next day and then at the start of the day doing the most difficult or challenging tasks first. Once you get those out of the way you are free to complete the rest of your tasks on for the day. Blogger, model, designer, entrepreneur, eco ambassador: what’s next for you Emily Kate? We are about to launch EKO & Sustainable events which will start next year within our space to engage with our community and really spread the message of sustainability further. I’m also in the process of writing a book in which I aim to help inspire and empower others and guide them on how they can shop more sustainably.